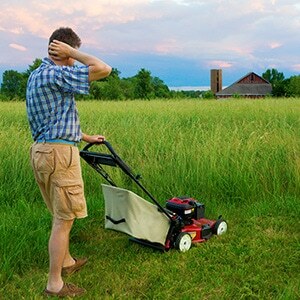 Home » How-To Library » What's The Best Lawn Mower for My Lawn? By answering 3 basic questions, you'll be able to determine the type of mower you need for your specific lawn: "What's my yard's terrain, how big is it, and what are my mower options?" How many trees or obstacles will I need to mow around? 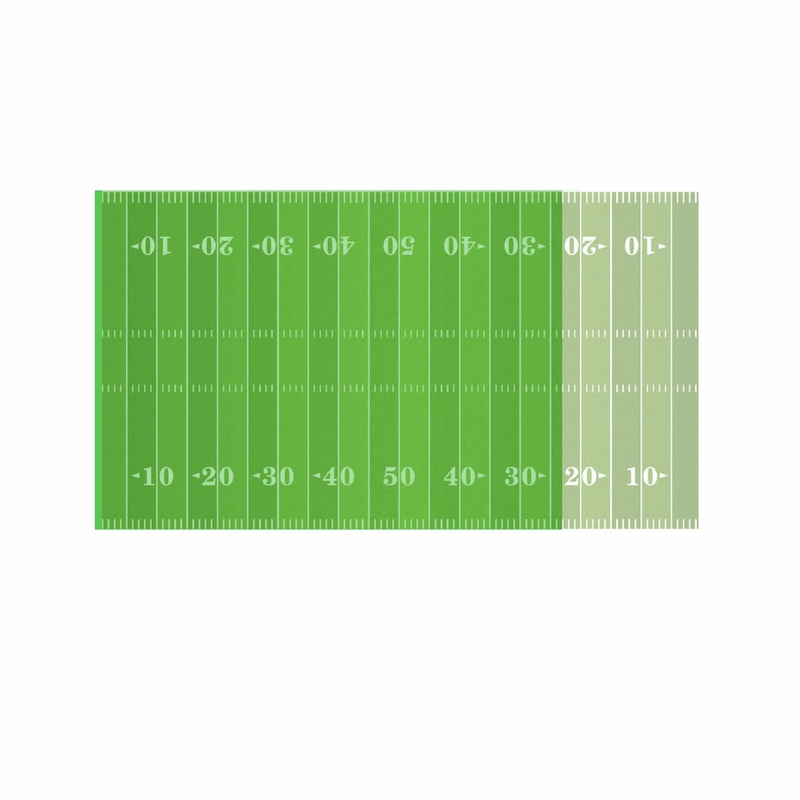 How thick is my grass? Will I be mowing over twigs, nuts, or leaves? Do I want to mulch or bag the clippings? Does my lawn have hills or uneven terrain? How steep is the grade? 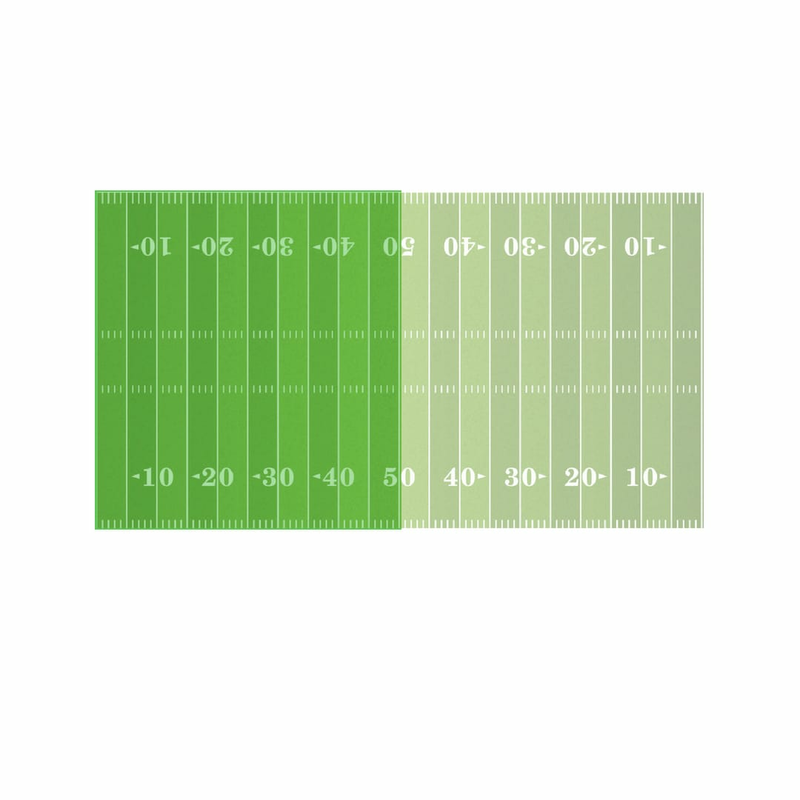 How often do I want to mow my turf? These are all important questions because every type of mower handles area and terrain differently. 2. 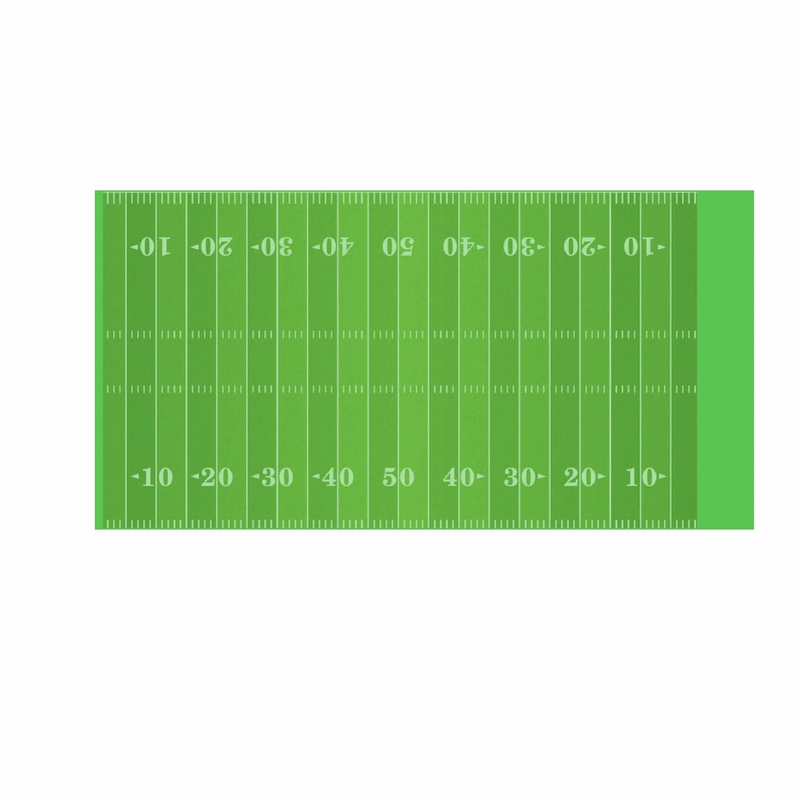 How Big is My Yard? Next, consider how much area you need to mow in acres. 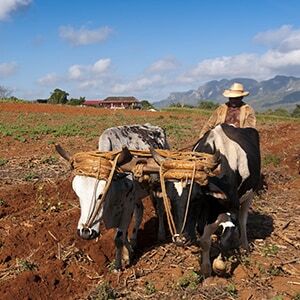 In the middle ages, an "acre" was used to determine how much land a herd of oxen could plow in a day. Today, acreage helps you pick the right type of mowing equipment you need for landscaping, laying seed, or even spreading chemicals. 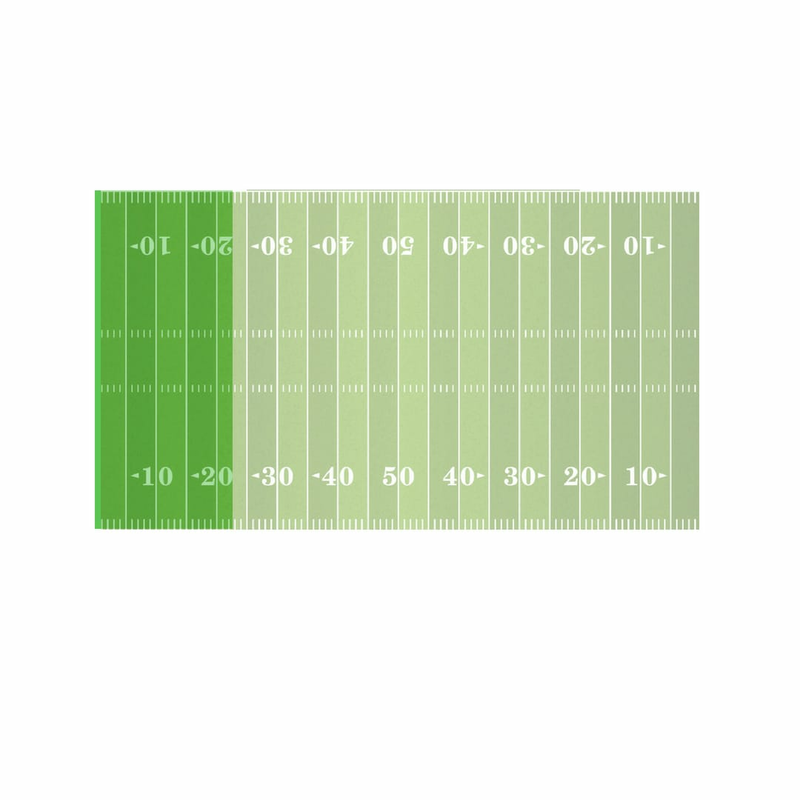 To make it easy, compare the size of your lawn like you would a football field, where a 1-acre lot = 1.25 regulation football fields (43,560 sq. ft.). Can you imagine trying to push a reel mower through all that grass? It's been said: "a problem well-defined is a problem half-solved." This couldn't be truer for lawnmowers. Once you've determined the size and terrain of your lawn, you're half-way to getting the best mower for your needs. Cutting Width: 14"-22" 21"-61" 26"-54" 32"-72"
For lawns less than 1/2 acre, manual/push mowers are your best bet. They are light, easy to maneuver, and better for lawns with unique shapes or hard-to-navigate areas. These walk-behind mowers can be gas, electric, or manual-powered. Let's dive deeper into each below. 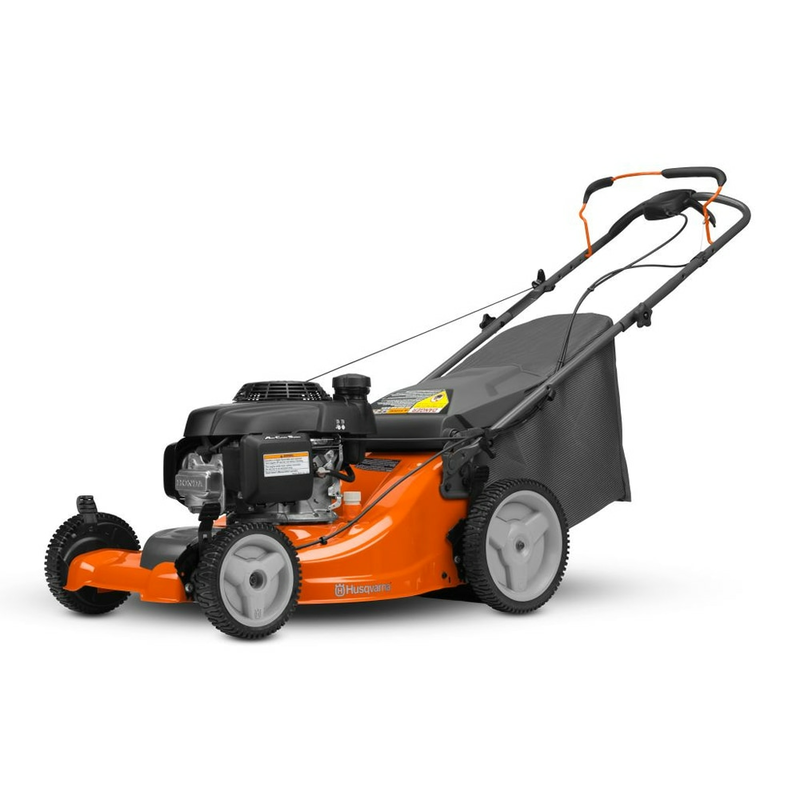 Unlike the other push mowers, we recommend using a reel mower for only small, debris-free lawns 1/4 acre or less. Manual-powered lawnmowing is a peaceful and efficient way to maintain small yards just like your grandfather did. Reel mowers are "you-powered," meaning elbow-grease is all you need to operate them. With their low price point, the only thing you'll be spending is time — not money. Reel mowers have virtually no maintenance or fuel costs, and using them for exercise is fun and healthy for you as well as the environment. They also offer the best type of cut using 'scissor-action' blades. What You'll Like: Lightweight, fun and easy to use. Healthy for environment and exercise; low cost; virtually maintenance-free. No fuel required. Scissor action leaves behind a beautifully-cut lawn. What You Won't: Impractical and time-consuming for larger lawns. Sensitive; can't handle tall, wet grass or yard debris including weeds - a twig is all it takes to stop it cold. Mulching not possible and may need to purchase grass catcher separately. Due to their lower weight and noise, you'll find electric push mowers are popular among older users and in neighborhoods where homes are closer together. They come in both corded and cordless (battery-powered) versions and since they are quiet, you won't need hearing protection and mowing on a Saturday morning won't wake your neighbors either. What You'll Like: Lightweight; maneuverable, quiet operation. Easy maintenance; no gas, oil, or spark plug to mess with. Unlimited runtime, as long as you don't run over the cord! What You Won't: The cord limits range and is cumbersome while finding outdoor receptacles. Weaker than gas mowers; can't handle thick, overgrown yards full of debris. Smaller cutting decks mean more passes. Electric bill during peak season. What You'll Like: Interchangeable battery can be used with several tools and equipment. Newer, lithium-ion batteries and brushless motors are more powerful and provide longer run times with mulching capabilities. Quiet operation; no hearing protection required. What You Won't: Limited range per battery, additional batteries may be required. Weaker and more limited than corded mowers. Mowing more often to keep lawn well-maintained. 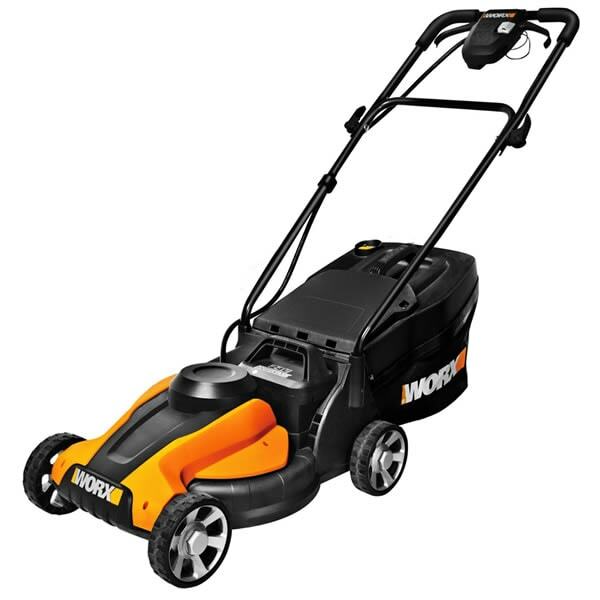 Gas push mowers give you greater power and torque than electrics for cutting thicker grass over a heavier terrain. They are also more durable and can be easily repaired. There are no cords or batteries to slow down your mow, and they still provide the opportunity to exercise while doing the weekend chores. 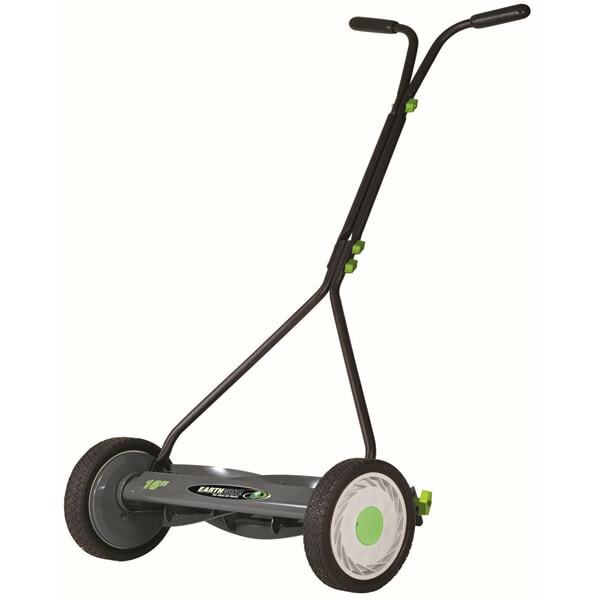 What You'll Like: More powerful engines; cuts thicker grass on steeper hills; no cords or batteries; cuts through debris; good exercise. Lighter than self-propelled gas mowers and easy to move around. Good bag/mulch capability. 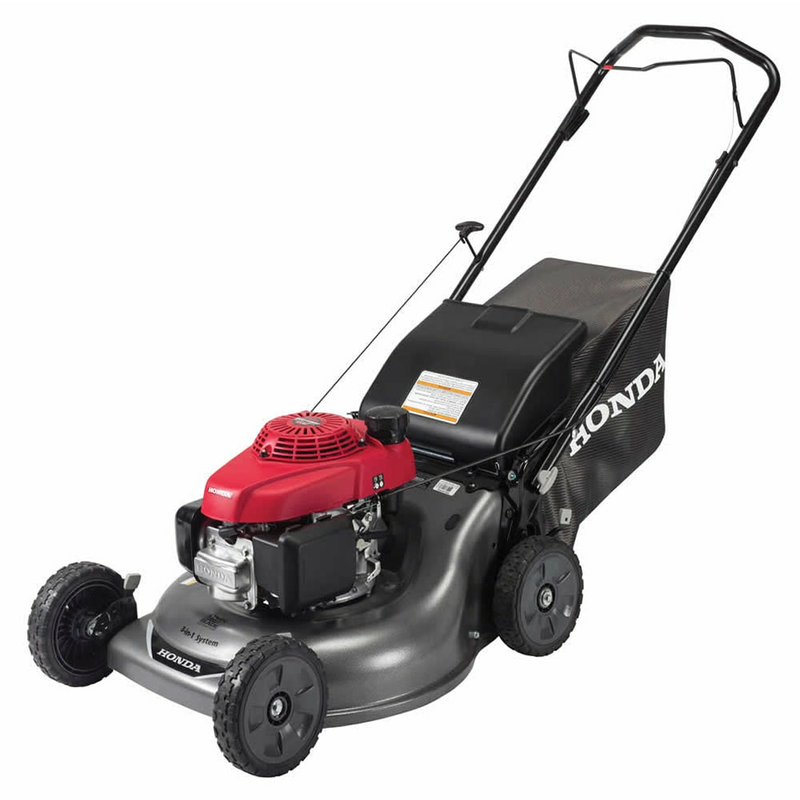 What You Won't: Noisier; heaviest manual-push type mower; requires routine maintenance for optimum performance; storing gasoline. For lawns 1/2 acre or less, you’ll still be able to navigate around obstacles and uneven terrain with a walk-behind mower, but you need the boost that self-propelled lawn mowers give. They have all of the benefits of regular push mowers, plus they do most of the work for you by propelling themselves forward. In a lawn riddled with obstacles and unforgiving terrain, a self-propelled mower may be quicker than using a riding mower because of their maneuverability in tight spaces and can mow around obstacles without slowing you down. Some even come with extra-wide decks to reduce your mow-time. Self-propelled mowers also offer front, rear, and all-wheel drive options for tackling rougher terrain with ease. If you routinely encounter rough turf like wet grass, hills, or roots, look to upgrade to an AWD mower, or at least, opt for FWD over RWD. Electric self-propelled mowers offer a clean, quiet cut, while their gas-powered counterpart offers enough power to traverse steep or uneven terrain while remaining fast and easy to operate. What You'll Like: Speed, does the walking for you; personal pace and drive options; greater power; tackles the roughest terrain out of push mowers; cuts thicker grass on steeper hills. What You Won't: Electrics have shorter battery life; gas units require storing gasoline and oil; maintenance. Heaviest out of push mowers, harder to move manually. For lawns over 1/2 acre, we recommend upgrading to a riding mower. 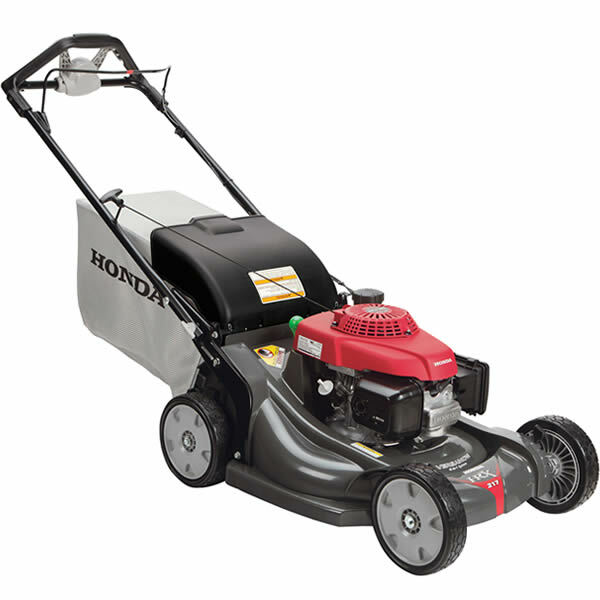 If cutting time is important and you have a lot to cut, you need a fast riding mower with a 40-60 inch+ cutting deck. 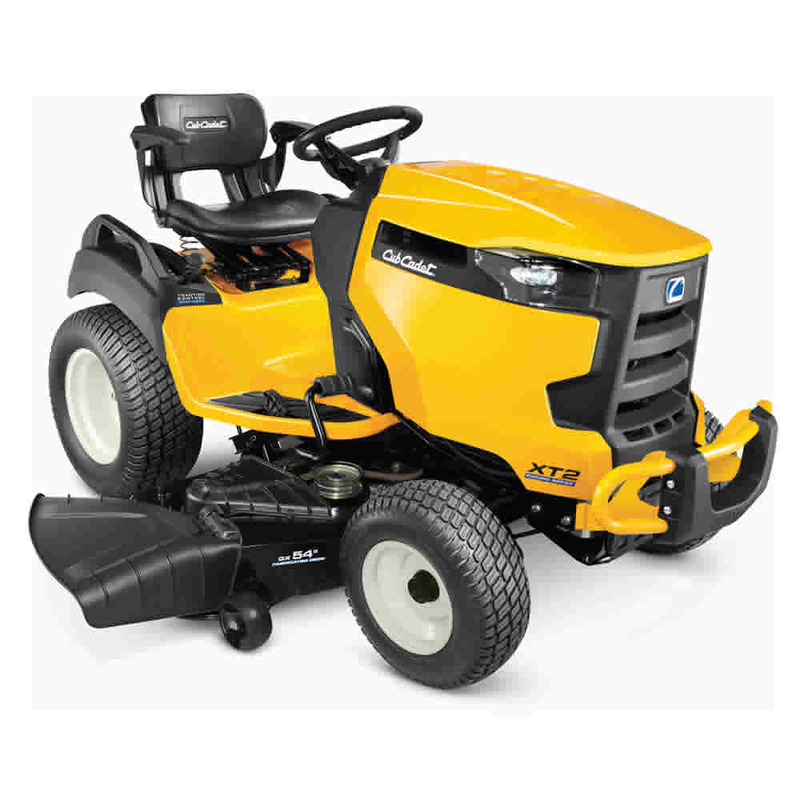 Entry-level lawn tractors are great for mowing larger areas and come with an attractive price tag. They are meant for recreational mowing with low-grade hills under 10-degrees. However, a drawback of lawn tractors is that most do not turn in a sharp radius, making the grass around your lawn's obstacles harder to maintain. Garden tractors, on the other hand, are just like lawn tractors, but feature more powerful engines and heavier frames built to wield a variety of attachments that can be used year-around; this is great for convenient landscaping work or snow removal in the winter. 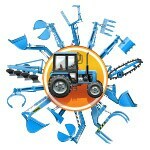 For the multitasking homeowner, a multi-seasonal, multifunctional mower is a powerful tool to have in the shed. 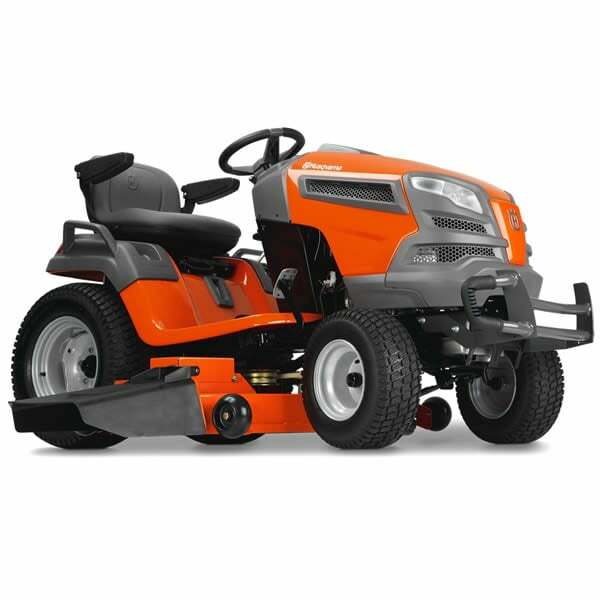 What You'll Like: Comfortable mowing experience, more available features, larger bagging capacity, optional locking differentials for inclines. Covers wide areas faster; attachments for multi-seasonal use. Huge upgrade from self-propelled mowers. What You Won't: Storage space limitations; maintenance; most don't make sharp turns; may need additional landscaping tools. Bigger investment than push mowers. A cut above the rest! For lawns 1 acre or more, a zero-turn mower will save you time and give you professional results for years to come. ZTRs offer durability and quality cuts that no other mower can match. No more worrying about large turn radius, low travel speeds, or skinny decks. They will save you effort with advanced, easy-to-use steering that allows you to turn on a dime. With a low center-of-gravity, zero-turn mowers make fast, precision cuts around the smallest obstacles with ease, such as a tree or a lamppost. 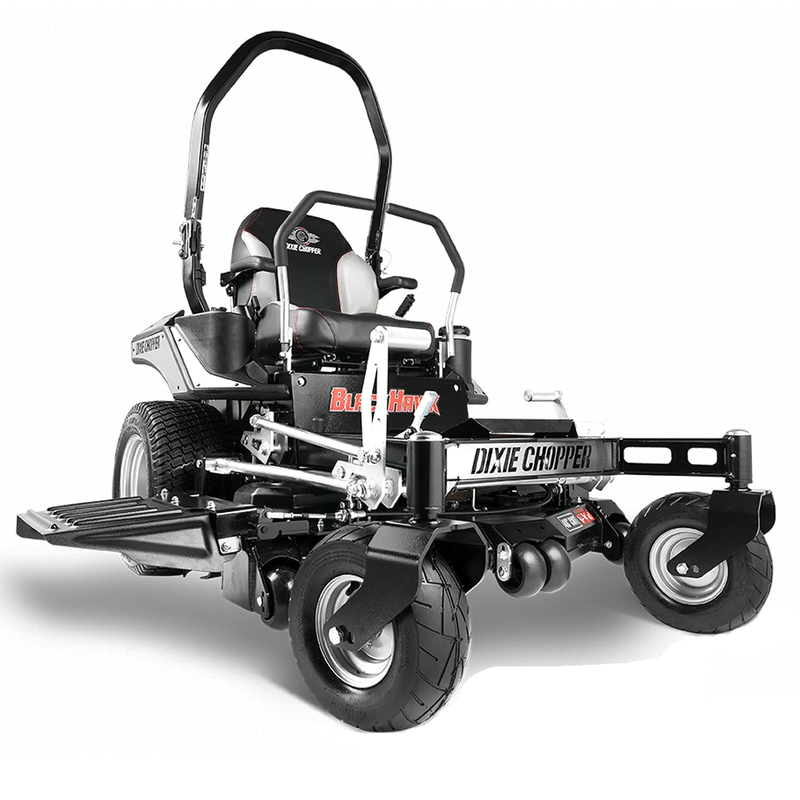 These beasts come with commercial-grade gas engines that can handle the toughest of jobs -- you’ll be mowing large, uneven lawns in half the time! Plus, you won't be making the 3-point turns that ruin the clean lawn stripes you work so hard to maintain. 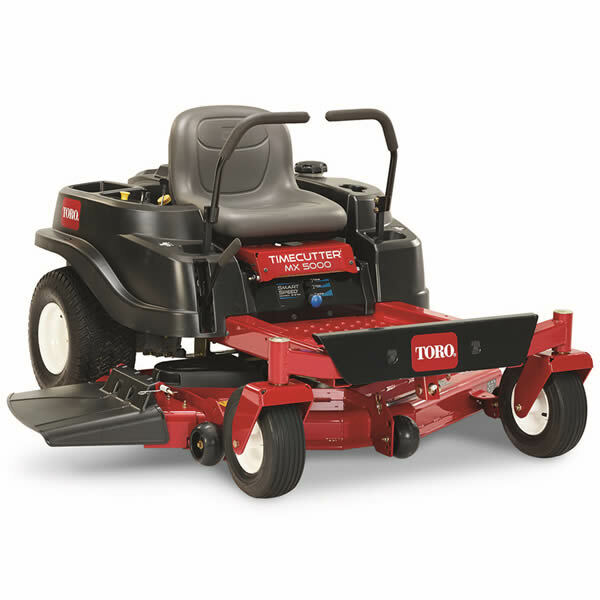 What You'll Like: Power & Speed, mowing times reduced up to 40%. Turn on a dime; easy steering; wide cutting decks; hydrostatic, smooth forward/reverse transmissions; heavy-duty commercial engines and parts. Ultimate quality, power, torque, and durability. Great for areas 1 acre, 2 acres, or more. What You Won't: Upfront costs; storage space; maintenance. Learning curve, turning quickly can rip-up grass. How Do I Deal With Steep Terrain? Dealing with steep slopes and hills requires extra caution, special skills, and expertise. In many cases, it should only be attempted by a professional landscaper. 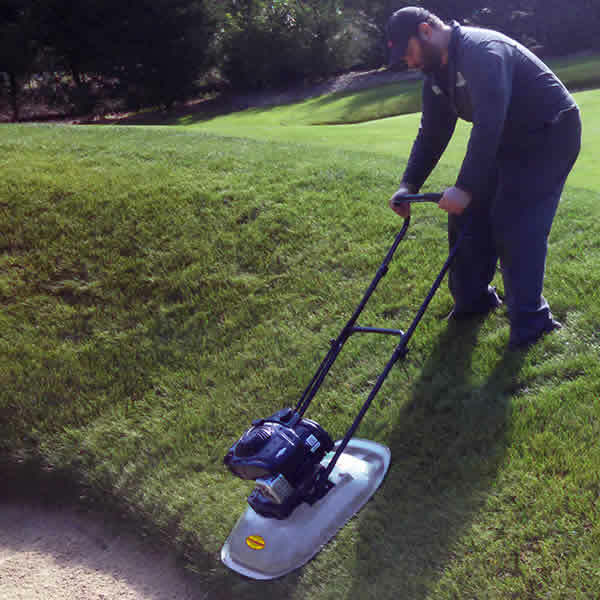 For extreme grades, like turf found on a golf course or grass surrounding a ditch, a hover mower is a great option and will make getting to those inaccessible areas easier. Professionals using zero-turn mowers should also look for models equipped with a Rollover Protection System (ROPS) to protect the operator from injuries caused by rollovers on steep terrain. Now that you know how to match a mower with your size lawn and terrain, you're ready to make a rational decision to get the perfect mower just for you. Want to learn more about a style of mower covered in this article? Click on a link to view our Buyer's Guides below. What's The Best Lawn Mower for My Lawn?.. Our Power Equipment Direct how-to library can help you learn about How to Fertilize Your Lawn, Vote for Your Favorite Brands in Mower Madness 2019 and Official Mower Madness Contest Rules.